In early 2003, Haseeb Drabu had returned to the Valley as economic advisor to the chief minister. The two-party coalition government then was led by the Peoples Democratic Party (PDP) founder Mufti Mohammad Sayeed. The budget that year was zero-deficit for the first time in the state’s history, winning the praise of even the Opposition National Conference (NC). The PhD holder from Delhi’s Jawaharlal Nehru University went on to become a loyalist of Sayeed’s PDP, which he joined in 2014 ahead of the state elections that he won. Today, that 15-year tryst with the PDP has soured: the ruling party in Jammu and Kashmir has dismissed Drabu as finance minister. Known for his penchant for courting controversies, the 57-year-old from Srinagar got the sack on March 12—three days after he delivered a speech at a Delhi convention of a vintage trade body. A portion of the talk turned out to be controversial, but wasn’t actually something new from Drabu. What he pertinently told the PHD Chamber of Commerce and Industry event was this: Kashmir is not a political issue. “It is a society which has social issues right now. We are trying to find our own space,” he said about the border-state and its government his party runs in association with the BJP. Now, already Drabu had been gaining vitality in administrative powers what with him having played a critical role in cobbling up the ruling coalition in Srinagar. In 2015, it was Drabu, along BJP general secretary Ram Madhav, who came up with an Agenda of Alliance (AoA) that marked the PDP’s political outlook and cemented the formation of a government with parties that had otherwise not much in common. Quite a few of his party colleagues weren’t in agreement with the document that practically muted the PDP’s pre-poll promise of withdrawing a controversial Act that grants central armed forces special powers in areas notified as ‘disturbed’. Cut to March 9, 2018. Addressing select ambassadors and industrialists in the national capital, the minister said J&K was not a conflict state and that Kashmiri netas “have been barking up the wrong tree” for the past seven decades, during which the “political situation has never improved”. In Srinagar, an ince­nsed PDP sought an explanation from Drabu. In any case, many of his fellow leaders had been blaming him for the government’s failure in implementing the political agenda of the AoA. As the acrimony continued, the CM eventually called him for a meeting late March 12 evening at her official residence. 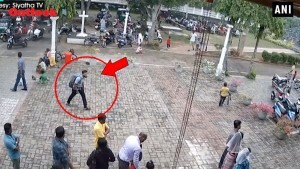 The minister was told to go. CM Mehbooba Mufti has of late been arguing for Indo-Pak talks, when Drabu stated Kashmir was never a political issue. But then, on March 11, when Drabu was still camping in Delhi, the PDP asserted “resolution of the political problem of J&K” as its core agenda. The party’s powerful vice-president, Sartaj Madni, also the CM’s uncle, asked Drabu to withdraw the Delhi statement. By evening, a letter from the PDP’s disciplinary committee sought his explanation on the speech that “has caused a serious dent” to the party’s image. For Drabu, the decision to drop him came as a “surprise” but what was “shocking” was the manner of communication: to inform the media before talking to him. “I was not accorded an opportunity to explain the context and the content of my speech. That was painful,” he says. As for the PDP’s political ideology, he emphasises the “involvement and guidance” of late Sayeed in finalising the AoA that comprised the aspirational agenda along with the all-important Self Rule document. According to sources, Drabu’s stature was growing in the government—to the extent of posing a major challenge to the CM, who is two years his elder. “Mehbooba was looking for a chance to counter the development,” says a PDP functionary. “She found it now.” Drabu’s close aides say the PDP wanted a fall guy to reclaim its ground and he became a convenient choice. Also, the CM, having slipped into strained relations with the coalition partner, was seeking to build a post-alliance narrative for herself and the PDP by sacking Drabu. 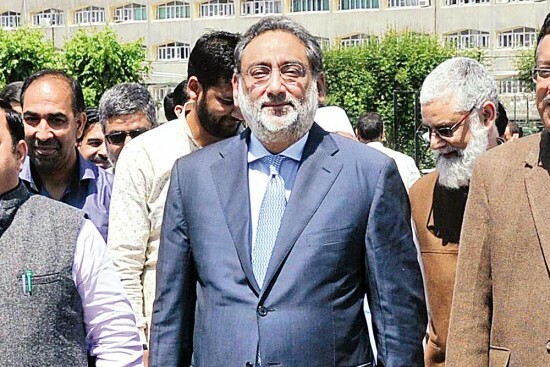 Kashmir’s separatist forces have no sympathy for Drabu, who had, in May 2014, hit out at their call for a poll boycott by terming it “electoral authoritarianism” in a newspaper. Jammu Kashmir Liberation Front (JKLF) chairman Yasin Malik often calls him a “hypocrite”, whose articles had earlier “invoked thousands of young and old to join freedom struggle and sacrifice their lives for it.” The pro-independence leader also claims that Drabu had in 1996 visited the All Parties Hurri­yat Conference’s Delhi office and “praised our efforts for the liberation of Kashmir from the illegal occupation”. These allegations have found no response from Drabu, who, on the other extreme, is called by some PDP leaders as the “RSS man” in their party. As someone who began his career as an Officer on Special Duty in the Planning Commission in 1990, Drabu had worked with the then PM’s Economic Advisory Council and was also part of the Tenth Finance Commission. He worked closely with Y.V. Reddy and Bimal Jalan, both of whom went on to head the RBI. Drabu later joined a leading business newspaper as its national editor. After that stint, back in Srinagar, Sayeed was forced to quit as CM in 2005 and the Congress’s Ghulam Nabi Azad substituted him. That time, Drabu took over as chairman of J&K Bank. 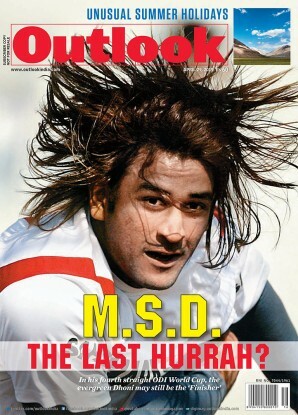 By then, the NC had started finding him “arrogant”. That party came to power in early 2009. Barely 20 months later, in August 2010, the state faced unrest after a series of killings of youth by the paramilitary CRPF. At this, the Omar Abdullah government replaced Drabu. No official reason came for the removal. But it is widely believed that Drabu’s direction to let ATMs remain open amid the six months of turmoil led to it. Drabu went into hibernation and later joined Essar Group of Companies—only to again become close to Sayeed and join his party in 2014. The economist got elected from Raj­pura constituency. Then, much to the heartburn of many party colleagues, he rose further: Sayeed made Drabu the PDP’s points-person for a dialogue on alliance with the BJP. The resultant AoA, despite the shortcomings from the PDP point of view, won the BJP’s assurance to put the controversial Article 370 in a ‘deep freeze’ for six years. Both parties agreed to follow former prime minister Atal Behari Vajpayee’s liberal “Insaaniyat, Kashmiriyat aur Jamhooriyat” approach toward Kashmir, while stating that the government would facilitate and help initiate a sustained and meaningful dialogue with the “internal stakeholders”. That would include all J&K political groups irrespective of their ideological views and predilections. Drabu had, all the same, succeeded in pushing the PDP’s poll promises: the AoA talked about confidence-building measures such as enha­ncing people-to-people contact on both sides of the LoC, enc­ourage civil society exchanges, take cross-LoC travel, commerce, trade and business to the next level and open new routes across all three regions to enhance connectivity. Today, Mehbooba’s dismissal of Drabu smacks of a tactic her father had employed in a similar situation 12 years ago. Sayeed, as the PDP boss, had, in 2006, recalled his deputy Muzaffar Hussain Baig (also finance minister), who was seen becoming close to the then CM Azad. It’s all there in the cycle.